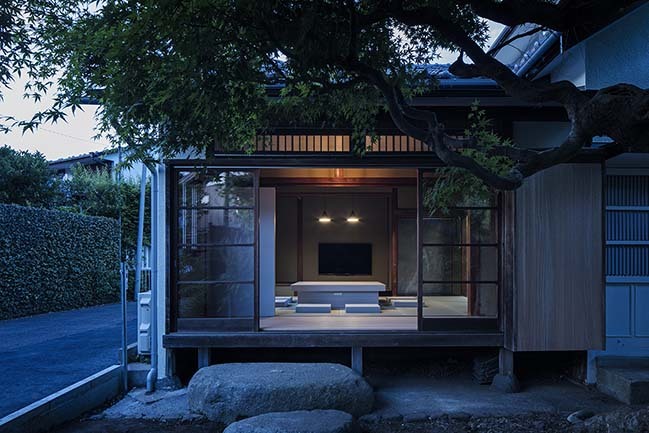 This traditional Japanese house is located in a quiet residential district among lush greenery in Kamakura. 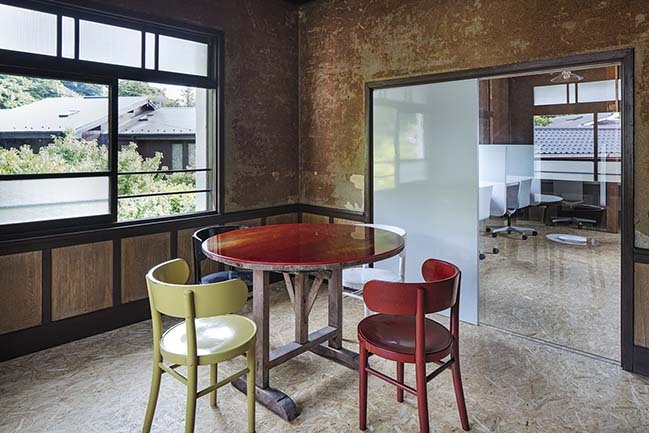 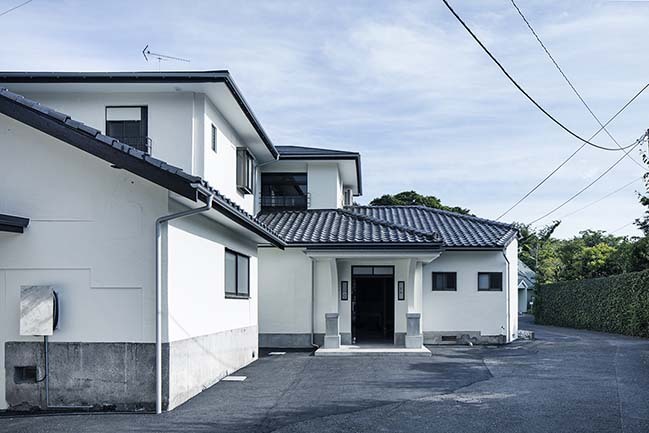 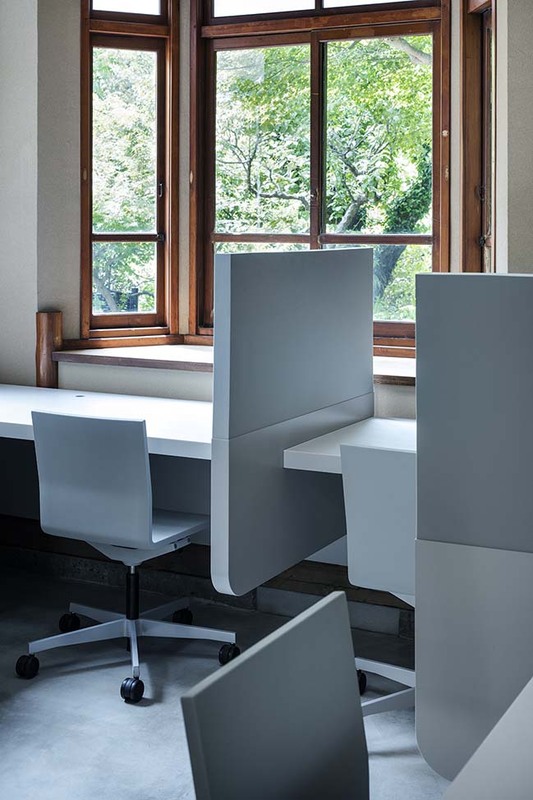 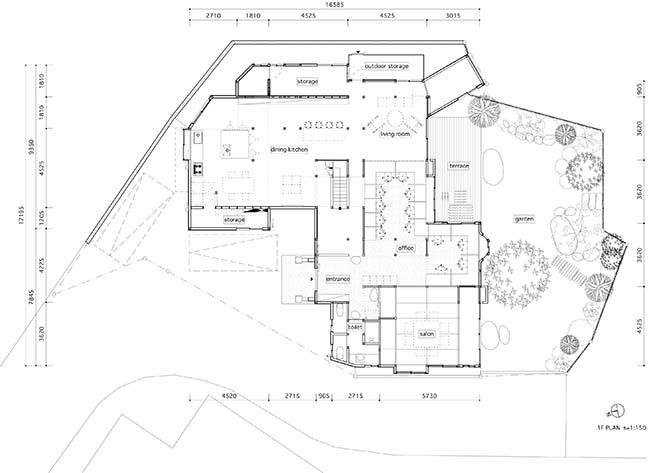 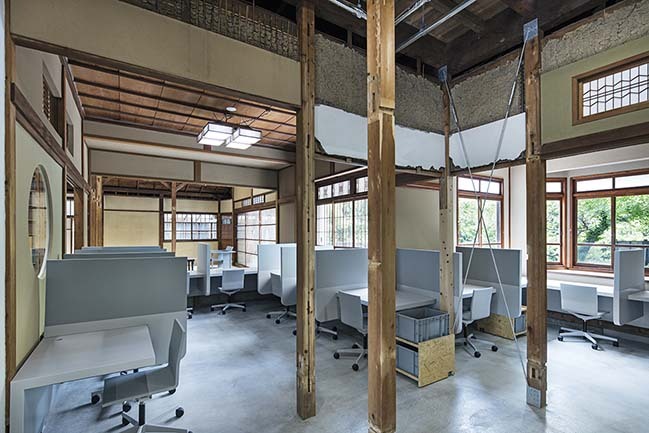 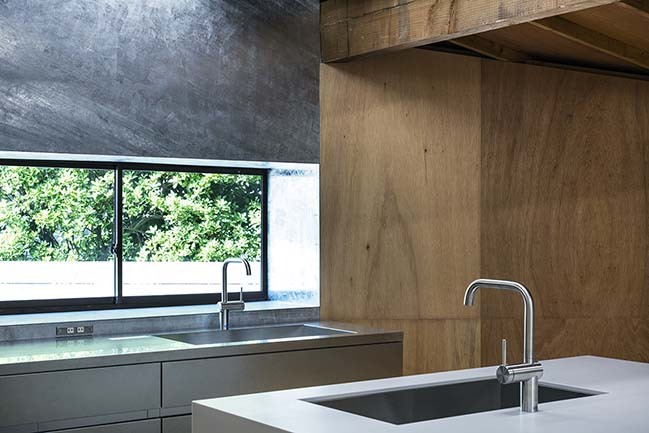 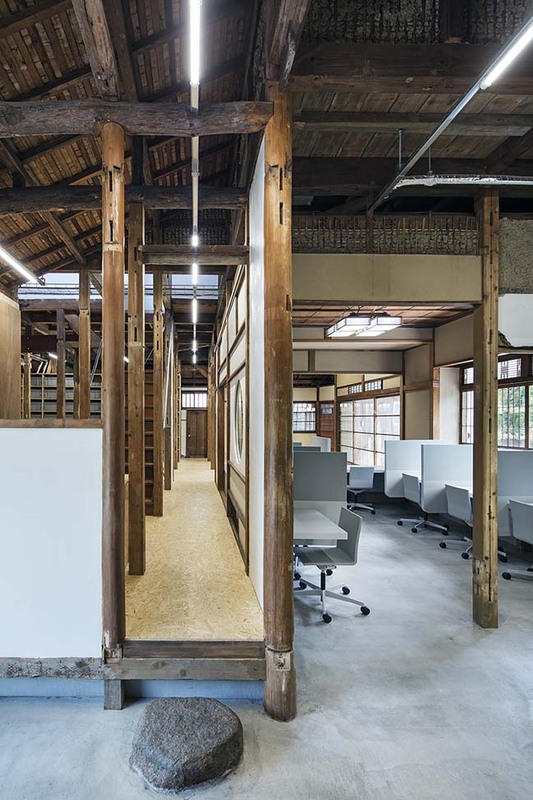 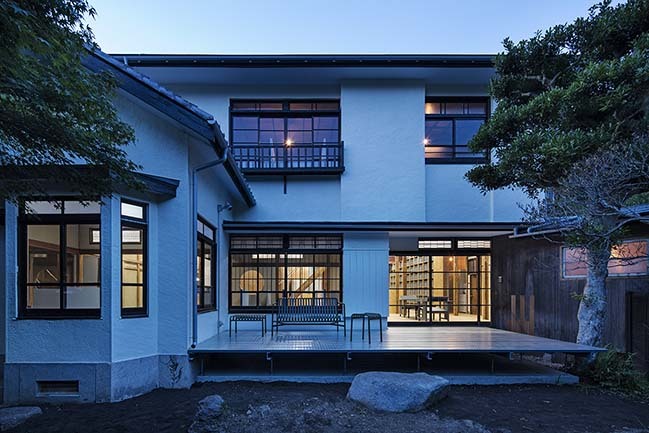 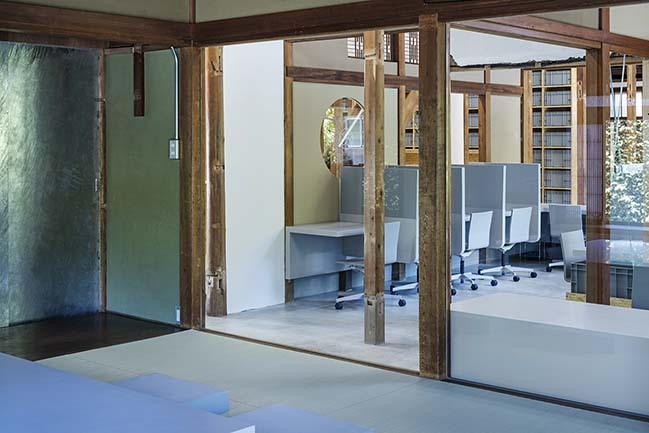 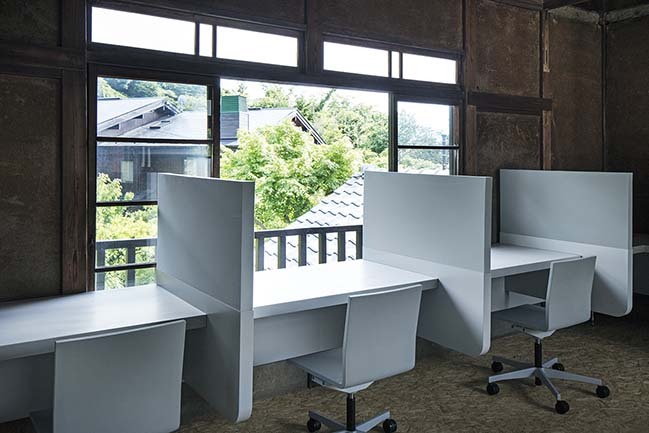 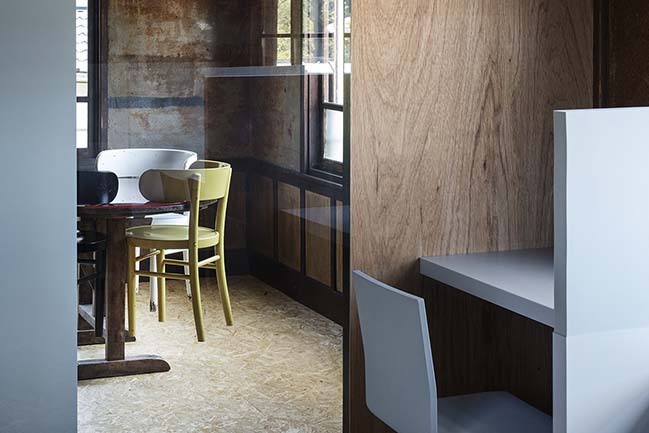 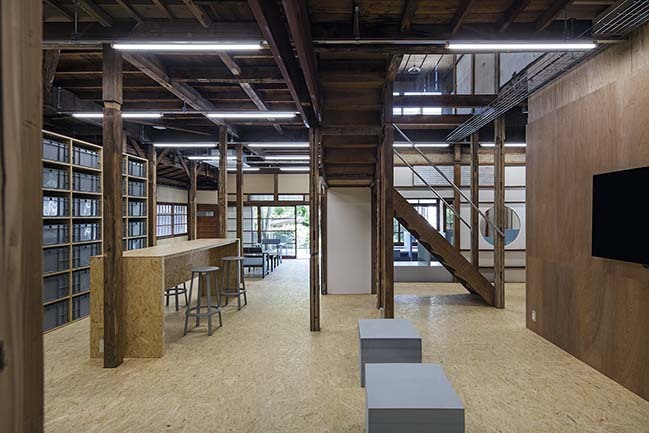 The Schemata Architects was commissioned to renovate it into a residence and office. 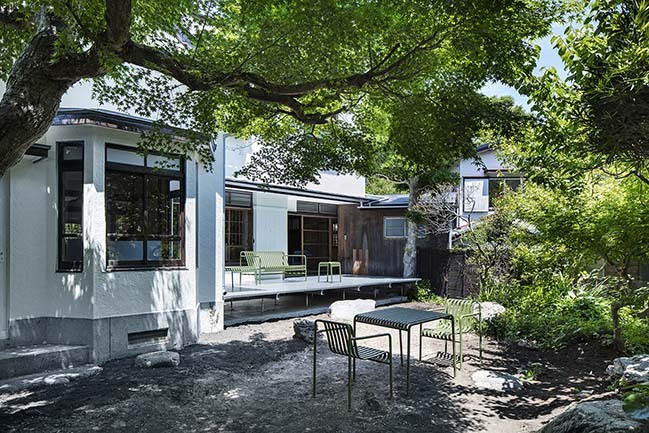 From the architect: There is a beautiful garden at the site, covered with lush greenery extending from surrounding nature. 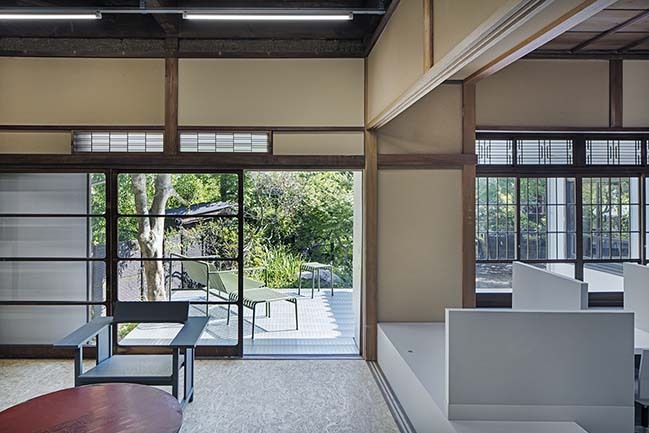 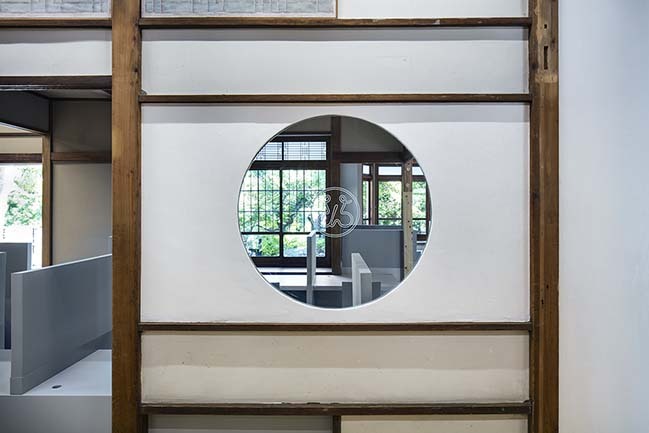 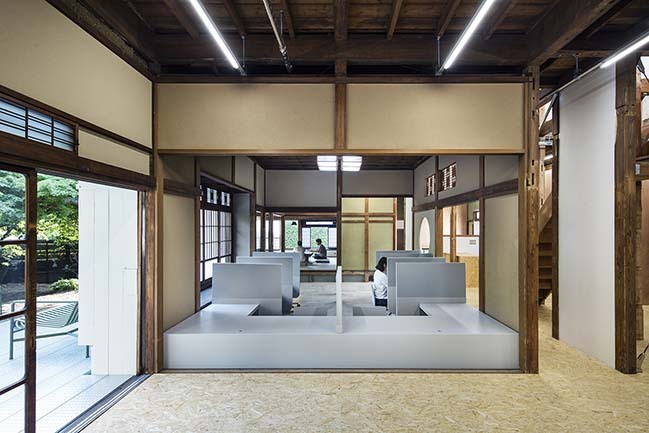 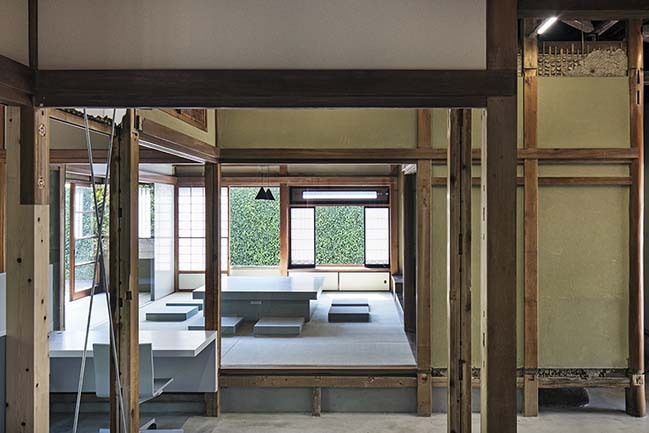 The building is a typical traditional Japanese house where all rooms face outside and the interior turns into a single open space by removing all fusuma (wood-framed paper sliding doors) dividing the rooms. 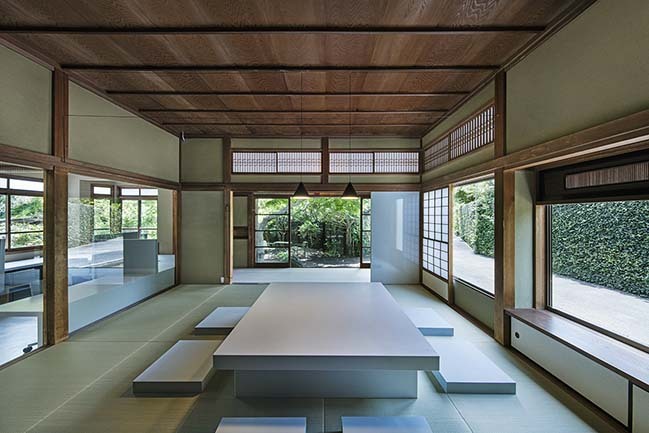 The floor is raised above the ground by 60cm and mostly finished with tatami (straw mats). 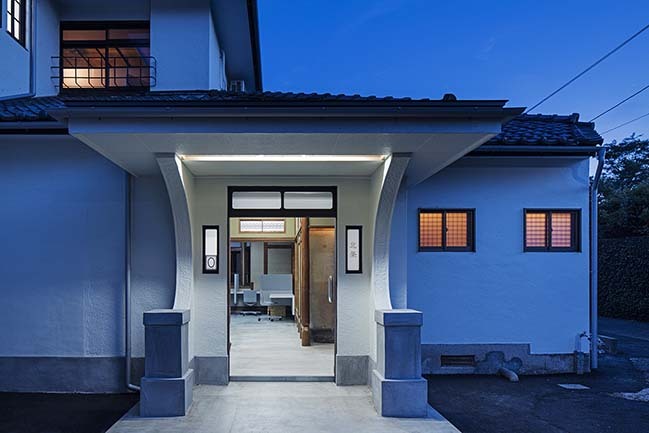 The existing wall and ceiling finishes of the 80-year-old house had distinct beauty that had evolved over a long period of time. 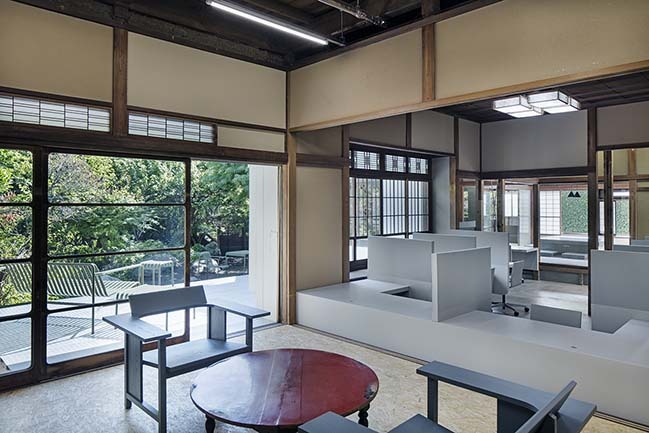 I expected that we would be able to create enhance such beauty by keeping the existing finishes as they are while partially exposing the substructure by removing them in some parts. 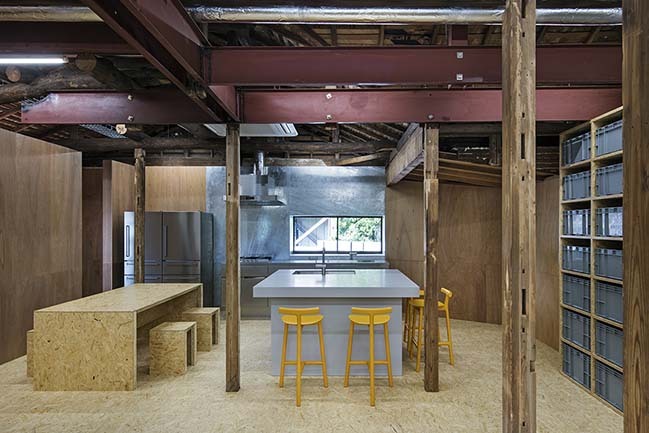 When we observed these things, we decided to focus on floor heights and finishes and treat them as means to express different spatial characters and define spatial/functional zones.